By Atticus | February 17, 2015 - 5:00 am | February 16, 2015 .22LR, .44Mag, First Impressions, Gift, Gifts, History, Hoilday Ideas, Holiday, Lever Action, Pistol Caliber, Product reviews, Products we like, Replica, Review, Rifles, Rimfire, Story, WANT! Some of you may already know I received the rank of Eagle Scout in the Boy Scouts of America, in 2004. This is the highest rank one can receive and it must be earned and is never just given. My father was a big part as to why I made it to Eagle because he cared enough to be a part of the program and help make scouting worth what it should be. A place for boys to grown into men. Henry Repeating Arms has been reproducing the Henry lever action since 1997 based on the 1860s rifle designed by Benjamin Tyler Henry. Henry Repeating Arms makes a very large variety of different lever action rifles all based on the original design. Henry makes a large number of tribute edition rifles such as the BSA, the EMS, the Military and Law enforcement, just to name a few. They make 5 different “Scouting Special Edition” rifles. While all of the scouting edition rifles are beautiful works of pure art the Golden Boy Eagle Scout Tribute Edition Rifle just my hands down favorite of the 5 and why I wanted to review this particular rifle. The detail work on this rifle is incredible. I would love to own all of Boy Scout rifle editions and keep them as a predominate display in my office but if I could only choose one I believe I chose correctly. If you have never shot a Henry Lever Action Rifle there is really only one word to describe the overall feeling…. Smooth. When I first picked up this rifle and held it in my hands it felt special and different. It felt like the night I received my Eagle Scout but in a rifle. The first time I pulled the trigger I remembered the night of my Eagle board of review and when they told me I had passed. It feels special. If you were never involved in this program I am sorry if you do not understand completely what I am talking about. I know that most people feel a different way based on the rifle and special editions they may own. Owning a Henry is like being in an exclusive club. It is that nod at the range when you see someone with one or when someone walks up to you and asks if that is a Henry and how they have always wanted one. I am a Brotherhood member of the Order of the Arrow and I have even hiked to the top of the Tooth of Time, but I am most proud of my Eagle Scout. I would not be the man I am today if it wasn’t for my time spent in the program. I am honored to have a such a special fire arm to honor that moment in my life. I have to take a moment a say that this would be hands down be the best Eagle Scout gift to give a scout who enjoys shooting. A Henry Boy Scout edition would also be a great way to honor an outstanding Boy Scout Leader, Scout Master or Eagle Advisor. If you have a hero returning home from overseas who enjoys shooting, any Henry rifle would make an awesome welcome home gift. I am pretty sure you can look and see what other Henry gifts are perfect for the special men and women in your life. A Texas Highway Patrolman pulled over an elderly lady for speeding. When he went to the car, he asked for her driver’s license, and proof of insurance. The lady took out the required information and handed it to him. In with the cards he was somewhat surprised (due to her advanced age) to see she had a conceal carry permit. He looked at her and asked if she had a weapon in her possession at this time. She responded that she indeed had a .45 auto in her glove box. The Patrolman could just tell something wasn’t right so he asked if she had any other firearms. She admitted to also having a 9mm Glock in her center console. At this point the Patrolman just had to ask one more time if that was all. She responded once again that she did have just one more, a .38-special in her purse. He then asked her what was she so afraid of. I had never heard of Olight before I ended up on their mailing list. I have always been someone who didn’t need an expensive flashlight because I never really carried a flashlight with me. While I have had some good flashlights over the years, I normally just kept a cheap dollar store flashlight in my truck. Of course by the time I ever needed it, it would be corroded and worthless. In the beginning of 2014, when I started going to the gym at night, I started to carry a flashlight with me. I have been on the lookout for a good everyday carry flashlight that is dependable and has good light. After months of emails from Olight I decided to really check out their product line. I found the R40 Seeker interesting. This hand held light boast an impressive 1100 Lumens. I contacted Olight and request a test and evaluation of the Olight R40 Seeker. I haven’t had any need for heavy usage but I try to use it every night. For my day to day usage this light works great. I haven’t had any dimming problems or any other problems with just light to medium usage. Olight says this light will run for 2 hours on mode 1 (1100 lumens). So I figured I would test this and see how hot the body of the light got. The 1100 lumens is so bright that during my testing of keeping it on my desk at the ceiling turned on I started to get a headache. It took about 37 minutes for the light to get to it hottest point which is 104 degrees F. The light stayed at 1100 lumens for 2 hours and 12 minutes. In my experience with most of the LED flashlights, when the highest setting is 2 hour run time that means the flash light is dead and needs to be recharged. This is not the whole story with the Olight R40 Seeker. The battery is not completely dead and will still run for another 4+ hours on the lowest setting (mode 3 12 Lumens) For the first hour I thought this was a cool feature but as the hours past I was more annoyed than happy. I would rather have a light that has a full run time until dead rather than sitting there more battery life that I cannot use to the full lumen. At hour 5 the 12 lumens would stay on for 180 seconds and then shut off and would do this every time you turned the flash light back on. At hour 6, the light would stay on for 10 seconds before turning off. I did not find out the true length of time that the battery life has because at 6 hours my head was hurting and hand tired from the constant turning the flash light back on. The light has a standard android style charging port on the back of the flashlight and uses a standard android style charger. The charge time has been a consistent 6 hour charge regardless of the usage. This to me is about 4 hours longer than it should be, but I am not an electrical engineer. I have no background to say that isn’t an impossible improvement. I just know that’s what I would like to see. The light uses a 26650 Lithium ion battery. Its not easy to get out. The only reason I make note of that is because you can buy that size battery and chargers if you wanted to keep spare batteries. I like the size and feel in my hand, I like the 1100 lumens, and I like that it has a charging port on the light. Things I wish this light had was a shorter charge time, full battery life on the highest mode, and a rear on/off switch on the battery cap vs. the charging port. The Olight R40Seeker is rugged and build to be dropped and used. I asked a number of cop friends what they thought and they all agreed with what I have mentioned above. If you are looking for a good light to keep in your truck or car for emergencies this is a great light. I have found this light online for $120 which seems like a fair price for a 1100 Lumen single LED flashlight. SAFETY TIPS FOR TAKING PEOPLE SHOOTING WITH YOU FOR THE FIRST TIME. If you have been following us for the past year you may know about the “Disney World” of gun ranges the GEARs crew shoots at. For those of you who might be new or just haven’t heard, you can find out more about TDSA HERE. While TDSA is my favorite place to shoot for work and play, I won’t take friends and family there if I have never shot with them. While it might seem a little rude of me, to not share this range with everyone I know, I have a rule to keep me and my “new” shooters safe. TDSA draws more of the seasoned shooter crowd. They are a membership based range, which means the range officer for each bay is the member themselves. I have been a range officer for years with different groups, and don’t have a problem when I know the shooters and their abilities. I have found that I need to focus all my attention on the individual I am taking shooting with me for the first time. Over the years I have found that when I go to the range with someone for the first time (even if they own guns or have shot for years) I have a chance to learn their deficiencies in shooting. This helps me keep everyone safe when I shoot with them next. When I have official range officers behind me, I always know I have one more level of safety to protect us. On top of that, when I am first introducing someone to shooting, I want them to feel as safe as possible. The sound of full auto going off in the background might not be the most comforting thing when someone hears it the first time. I also will not shoot the day I take someone to the range for the first time. The simple fact is, that this day is not about me. It is about the person I am shooting with. I want to see if this is someone who is ready to go shooting in a very different shooting environment. TDSA is a place we have more freedom to try different things like shooting metal targets from a golf cart or shooting Tannerite. friends seem to shoot fine but have a hard time remembering basic safety rules like keeping your glasses on at all times. At our range, this can get the member a violation, even if it is the guest, When this happens, I have given myself two options. 1. I can never shoot with this person ever again. 2. I can choose to protect my membership and shoot with them at a more structured shooting range, like the one I take my new shooters to. When deciding to take someone new to the range it is important to keep things like this in mind for everyone’s safety. Too many times, have I seen a guy taking his girlfriend out to the range and acting all macho with this guns. He forgets that the day isn’t about him, but about introducing her to the SAFE world of firearms. 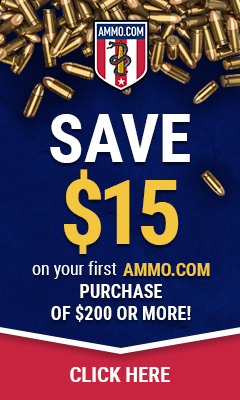 Written for Ammoforsale.com – Which caliber is best? (Atticus James) I was asked which caliber I think is best out of the 9mm, .40 S&W and the .45 ACP. This is not an easy question for me to just flat out say one is better than the other as I own and love all three calibers. Sure the 9mm is cheap to shoot and has low felt recoil so it is fun for most all shooters. The .45 acp has that manly “I eat my steak bloody and get into boxing matches with bears” feel. The .40 S&W is a middle of the road round as it was designed to have as much of the best of both the 9mm and the .45 acp. The first caliber of the three I ever owned was a Glock 21 chambered in the .45 acp and I have shot so many rounds of .45 acp that I am very comfortable with the weight and felt recoil. When I think of the .45acp I think of the Colt 1911 as they are both very iconic together. · Heavy on the felt recoil. After firing the first shot your arms may move so much that it will take longer to get back on target for the follow up shot. 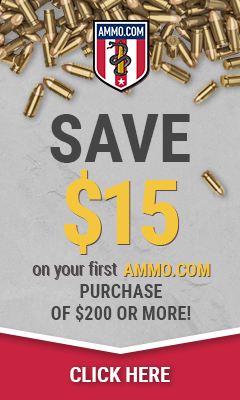 · The ammo is very common and when not in an ammo shortage very easy to find the ammo at competitive prices. · An all around good caliber to carry as a secondary when hunting. · Not all shooters are comfortable with the size and felt recoil of the .45. The sizes of a lot of .45 handguns are large so they are not as easy to conceal. Not that there are not small frame .45s but when you are shooting a .45 you want to have as much grip on that firearm as possible. The 9mm is a good all around caliber. The round is not a clear winner to me in any one category so I believe the round should be looked at overall rather than broken down. The round can have improved ballistics in some categories with a change in bullet weight or bullet type (ball to Hollow-point) depending on what your end goal for the round is. When moving up in the caliber world from .22lr, one of the next steps to the general shooter might be to the 9mm. · The ammo (Target or non defensive rounds) tends to be less expensive than the .40 or .45. · The market is flooded with different brands and models of 9mm so the average handgun is not going to be as expensive. · More rounds can fit into a magazine. As I said before, this round was designed with the thought of trying to take the best of the 9mm and the .45 acp and build a new round altogether. The .40 S&W has become one of the more popular conceal carry rounds only surpassed by the 9mm (in a recent poll conducted buy gearsofguns.com) and followed by the .45 ACP. Even with the popularity the .40 it is still the most expensive (per factory) round of the three. · Larger round (to the 9mm) means bigger hole. Generally speaking, when people compare the 9mm to the .40 to the .45 acp they are comparing gun to gun to gun vs. ammo to ammo to ammo. When you factor out the gun and solely look at the ammo your opinion may change based on the type of shooting you plan to use the ammo for. I love the .45 ACP because of the manly “I eat my steak bloody and get into boxing matches with bears” feeling. And I love the popularity and ballistics of the .40 S&W.